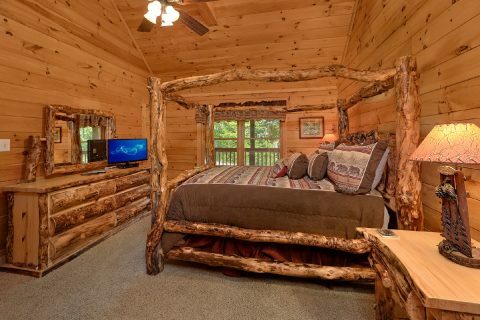 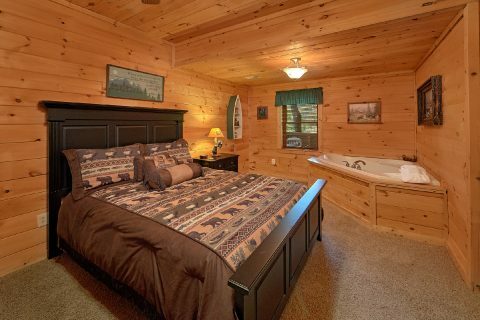 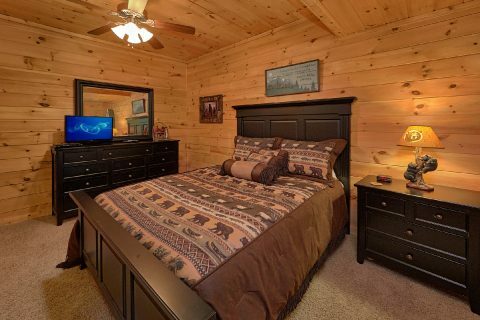 Located only a short drive from the heart of Downtown Pigeon Forge, you'll find an affordable Smoky Mountain cabin that's perfect for a romantic getaway for a fun weekend with friends! 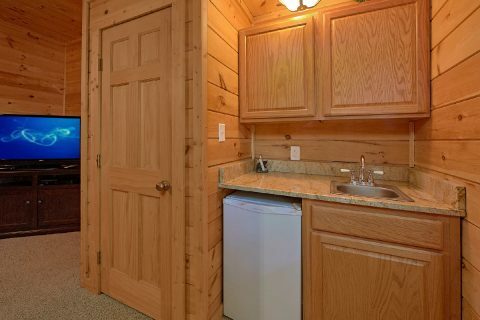 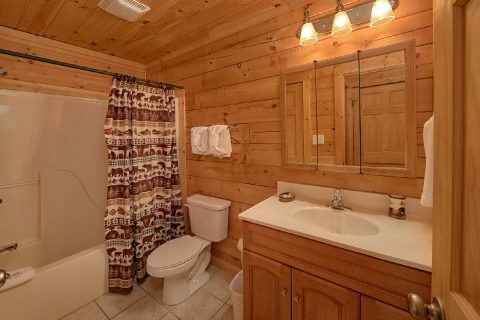 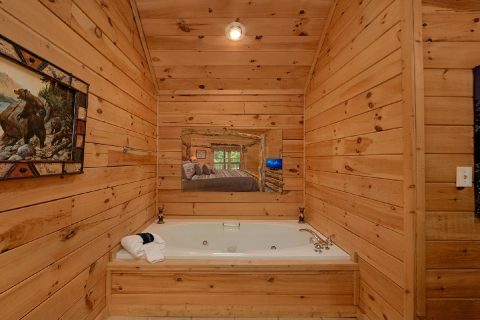 "A Cozy Cabin" comes complete with 2 private bedrooms and it can accommodate up to 4 guests in comfort, so it's perfect for small getaways to the Smokies. 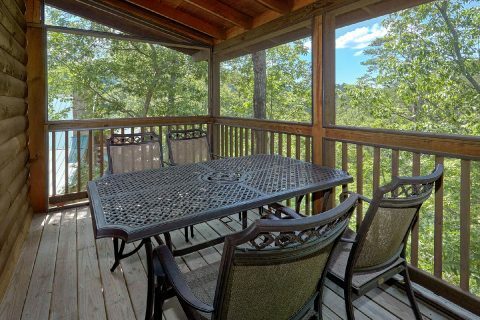 Since this cabin rental is located in the Arrowhead Resort area, guests of this rental will enjoy beautiful natural scenery and quick access to top local attractions. 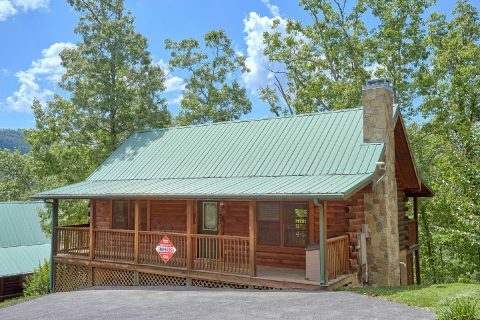 Dollywood, The Titanic Museum, and The Great Smoky Mountains National Park are all only a short drive from this rental. 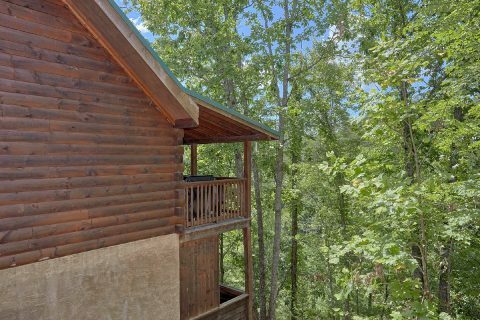 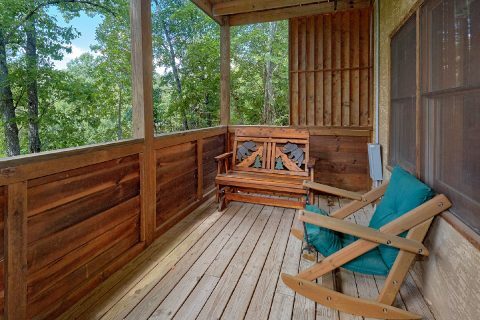 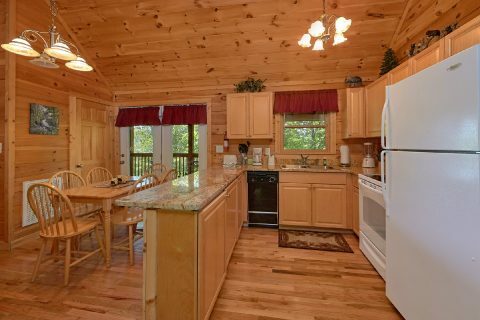 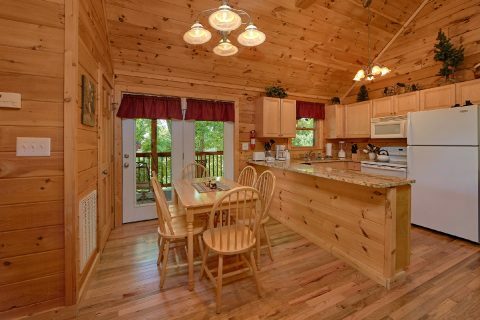 After an exciting day of exploring the Smokies, you'll love returning to this cabin rental with everything you need to unwind. 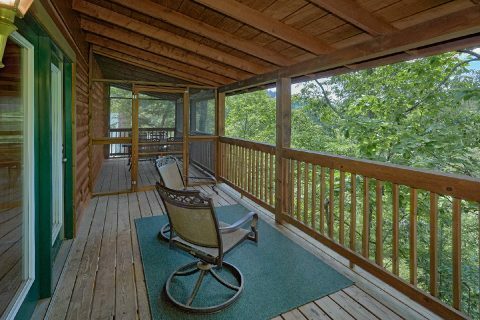 Sit back in the warm waters of your cabin's upper deck to rest your weary bones. 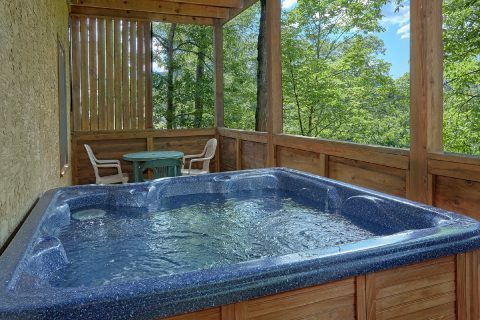 Work on your tan by the poolside at the Arrowhead Resort pool during the warm summer months. 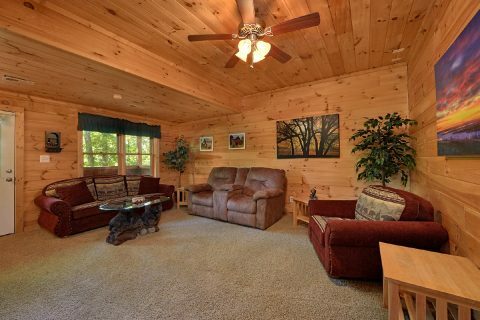 Enjoy relaxing by the gas fireplace in the living room with your friends and family. 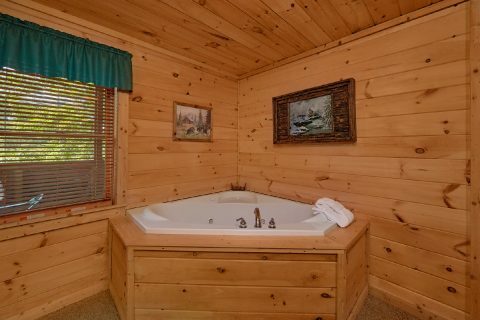 Or just take a soothing bath in privacy in one of your cabin's two jacuzzi tubs. 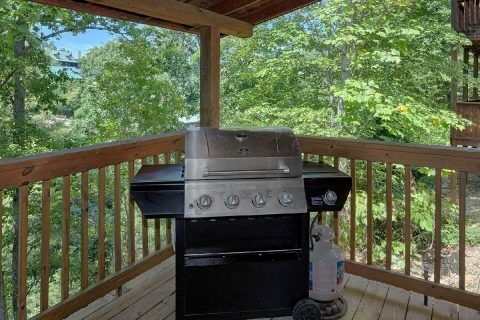 This rental also provides practical amenities like a washer/dryer, full kitchen, gas grill, WiFi, and a screened-in deck area so you can enjoy the great outdoors without being bothered by pests. 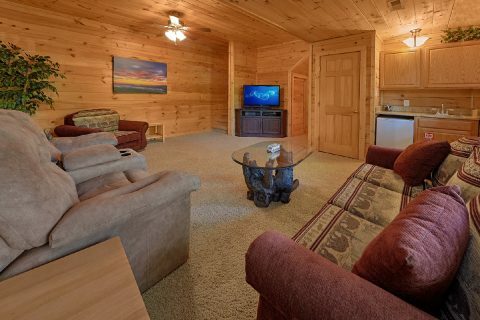 Not only is this cabin an affordable choice for a small family getaway, but it also comes with our special 15% discount! 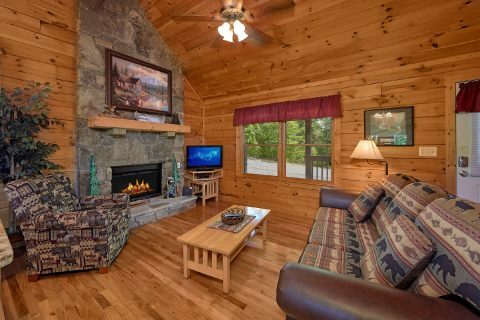 Save on your nightly rate while getting a comfortable cabin rental for your family!